Daily Mining Gazette/Dave Archambeau Michigan Tech’s Elizabeth Kelliher attempts a layup during a game against Minnesota State-Moorhead Friday at the Wood Gym. 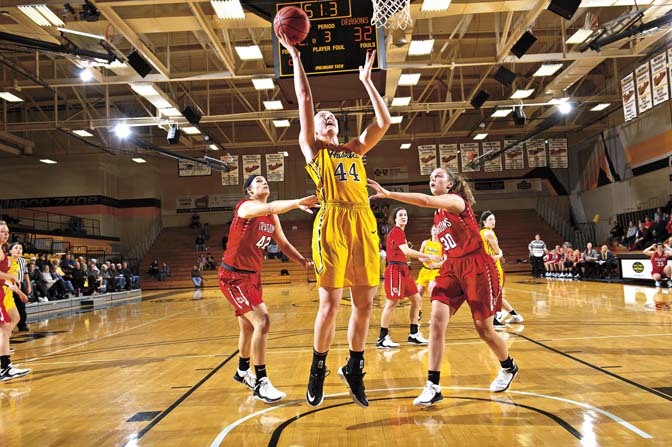 HOUGHTON — According to Michigan Tech Huskies women’s basketball coach Sam Hoyt, Friday’s 59-48 win against Minnesota State-Moorehead Friday at the Wood Gym was not just a win. It was a huge victory. “They (Moorehead) are a phenomenal team and by far our toughest competition so far this season,” said Hoyt, whose team moved to 3-0. While the Huskies led the whole game, Hoyt admits it was not the team’s offense that won the game but rather their defense. The Huskies shot only 34.5 percent from the field. The Huskies had three players with double digit scores. Elizabeth Kelliher led the offense with 13 points. Cassidy Trotter followed with 11, and Ellie Mackay had 10 points and led the Huskies with three three-pointers. Their aggressive defense caused Moorehead to commit 23 turnovers. It worked as the Dragons were often faced with a last-second shot before the shot clock ran out. 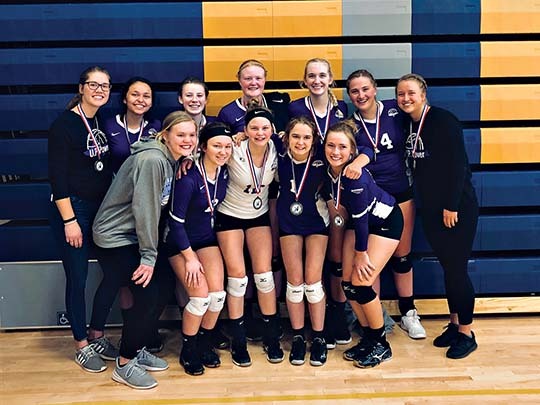 “We work on that in practice using different scenarios, and it is a testament to how well our girls did early in the shot clock,” Hoyt said. The Huskies will be back at home on Sunday as they face Minnesota State at 1 p.m.